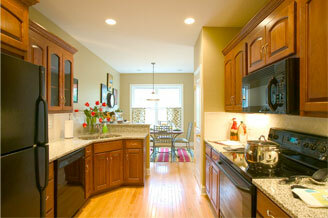 Polished, energy efficient new homes that speak to you. The enduring nature of our design and craftsmanship has made Nelson Construction the Farmington Valley’s premier builder of fine homes. Beautiful, livable floorplans are our hallmark, and smiling homeowners our trademark. We are a semi-custom builder who enjoys constructing 15-40 single family detached and townhomes per year. This company size allows us to create neighborhoods that we can be proud of and allows us to stay connected to the jobsite and design team. We employ onsite supervisors and professional trade contractors who are involved every step of the way. Eye-catching neighborhoods with each home uniquely suited to each buyer make our world go-round.